Lenovo lunched a new handset by name Vibe K4 Note. This is the successor of K3 Note. The handset is going to be made available in India via Amazon India e-commerce site. The flash sale is scheduled on January 19. Registrations are now open for the sale. Vibe K4 Note will be offered for a price of Rs. 11,999. New Delhi: Lenovo Vibe K4 Note sports 5.5 inch display. Display resolution is 1080 x 1920 pixels. It weighs 158 grams. 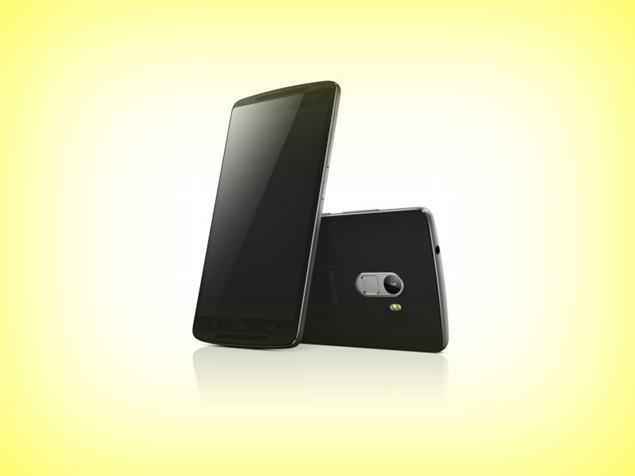 The handset is powered by MediaTek MT6753 processor. The processor is paired with 3 GB RAM and 16 GB internal storage. Memory can be expanded up to 128 GB via micro SD. The handset comes equipped with 13 megapixel primary camera and there is also 5 megapixel secondary camera. The handset runs on Android 5.1 Lollipop operating system. Connectivity features include WiFi, GPS, micro SD and 4G LTE. Other features are 3.5 mm headphones, FM radio and dual SIM. Battery under the hood is 3300 mAh. The 3300 mAh Vibe K4 note battery is claimed to give a standby time of 265 hours on 3G and 22 hours talk time. Highlights of the handset are the fingerprint scanner, dual front speakers and Dolby Atmos Audio. This entry was posted in Launches, Tech on January 5, 2016 by Rakesh.